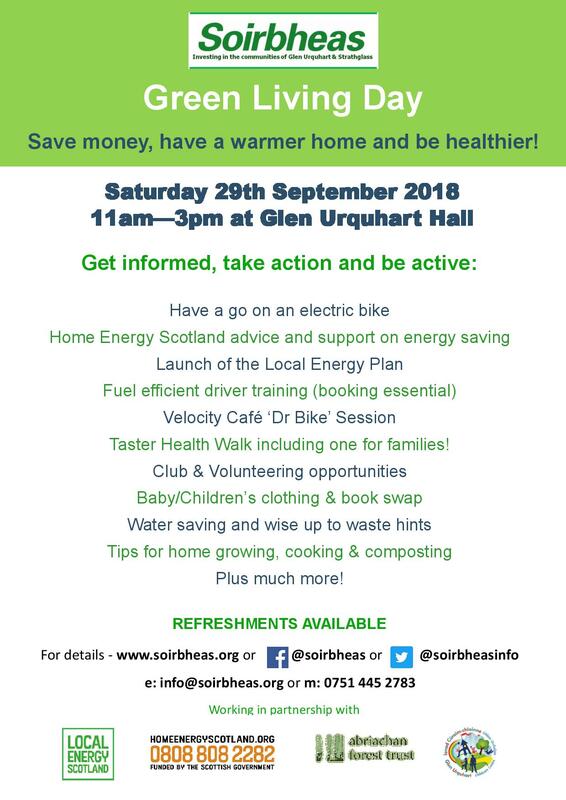 Soirbheas along with partners Home Energy Scotland, Abriachan Trust the Glen Urquhart Childcare Centre are hosting a Green Living Day on Saturday 29th September 2018 in Drumnadrochit from 11am—3pm in the Glen Urquhart Hall. To view a schedule of all the Tasters, Talks & Training click here. Home Energy Scotland and Resource Efficient Scotland will be on hand to provide information and impartial advice on energy saving, renewable energy, sustainable transport, waste prevention and more for your home and business. Would you like to be a more fuel efficient driver? On the day we will be running some FuelGood sessions with a qualified instructor. FuelGood driver training is a driver training scheme established to help people save on fuel costs and reduce carbon emissions. If you would like to do one of the 50 minute sessions, BOOKING IS ESSENTIAL, as there are only limited places. For this you will need to bring your driving licence ID card. If old style paper licence, bring photo ID passport etc. The instructor will have a declaration sheet for you to read and sign before commencing driving. There is also an at sight check – reading a new style number plate from 20.5 metres that you need to be able to do first. Please contact Jo at info@soirbheas.org for more information. 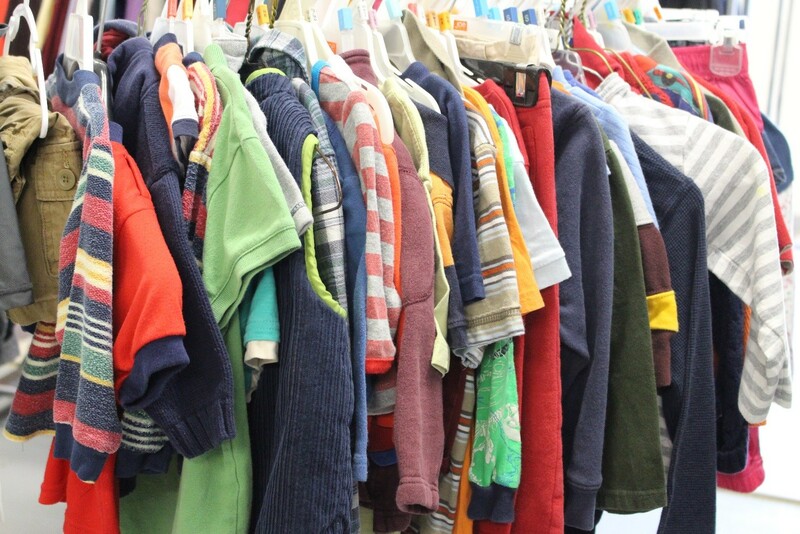 The Glen Urquhart Childcare Centre are running a Kids Clothing & Book swap on the day! • If you bring items along you can do a straight ‘swap’ – no money changing hands! • If you do not have anything to swap, but see something you want you can make a donation instead! If you have items to donate, please can you bring them along to the Childcare Centre in advance. If that is not possible just take them with you! Does you bike need a little TLC? A ‘Dr Bike session’ is like taking your bike to see its GP!! You can get a health check on the day and little repairs sorted and then – tyres pumped, chains oiled, gears and brakes tweaked, seats raised and lowered, and even punctures fixed if it’s not too busy. If your bike has bigger problems they can explain what needs to be done and point you in the right direction for getting it fixed. Their experts can also tell you about the social cycles Velocity Café runs, plus other schemes in the area to get you on your bike along with info about safe riding. There will be FREE goodies too! Puncture repair kits, front and back lights, oil and pumps to give away to good homes! Would you like to get out more and meet some new people while enjoying some gentle exercise? Come along and try our taster Health Walks during the Green Living Day. At 11.30am there will be a walk for adults. Join Jack and Miranda for a short walk, information about the local Health walk group and have some refreshments after! At 1.30pm there will be a family walk led by a trained Health Walker from Abriachan Forest Trust. Please ensure all children are accompanied by a responsible adult. For both walks please sign up at the Health Walk table in the hall.